Please join us for an open meeting to discuss resistance to the Rockaway Delivery Lateral Project, a hazardous and unnecessary gas pipeline that will be built under the Rockaway Peninsula this summer. Resistance to this project would make visible in New York the intersection between climate change, environmentally destructive infrastructure, and questions of housing, space, and territory. This is an opportunity to bring together all those involved in community organizing in Sandy-affected areas; environmental activism; urban farming/gardening; reclamation of unused land; anti-eviction work; and efforts to source food locally, communally, and affordably–to take a position together on the future of New York. 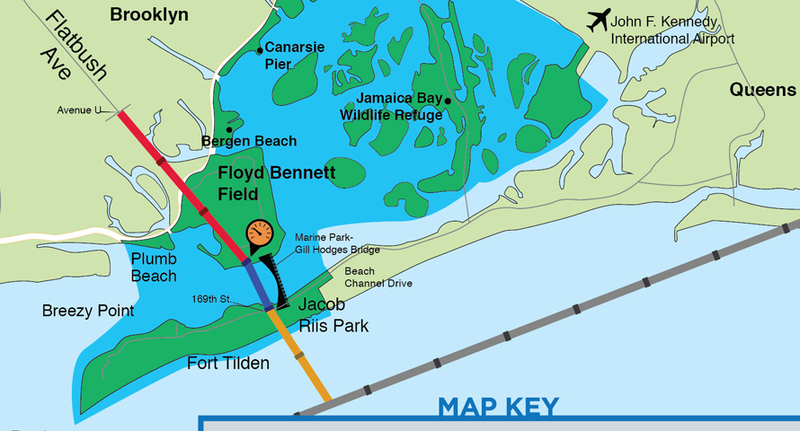 The pipeline will carry hydrofracked “natural gas” (methane) under the Rockaways and into Brooklyn. Gas pipelines are carelessly regulated and explode frequently. The Rockaway lateral will be especially hazardous to residents of the Rockaways in the event of another hurricane like Sandy. It will make New York City dependent on hydrofracking, a process of extraction that has poisoned thousands of people’s watersheds and land. It is doubtful that New York actually needs the gas, and many speculate that the gas transported through the pipeline will eventually be exported overseas, making New Yorkers reliant on an energy source that will become much more expensive within just a few years. Although “natural gas” is marketed as a green alternative to oil and coal, its impact on climate change is actually substantially worse than both–the pipeline will contribute to the exacerbation of human-induced climate catastrophe that violently disrupted life in the Rockaways a year and a half ago. All over the world, and with increasing vigor in North America, struggles against infrastructure are often rooted in the defense of a way of life that depends on a land-base that is threatened; because of their ties to life and land, these struggles are often sustained for years, even decades. Examples in Europe include the Zone a Defendre/ZAD in France; the No TAV movement in Italy; struggles against gold and copper mining in Greece. What would it look like to apply a similar model around the Rockaway Pipeline? In an urban context there is greater geographical and affective distance from the land directly affected by our energy consumption. What would it take to create an urban commons, a space or spaces for resisting gentrification, our reliance on industrial agriculture and the money-form, and that would also serve as a semi-permanent base of struggle–a zone to defend within the metropolis? What would it look like for the communities of the Rockaways to mobilize against this project together, out of the shared experience of Sandy and reorganizing life in its aftermath?